By 1973, nineteen year old Walter “Junie” Morrison Jr. was a member of one of the most successful funk bands of the early seventies…The Ohio Players. He had joined as a sixteen year old, and played on their sophomore album Pain, which was released in February 1972. Pain proved to be The Ohio Players’ breakthrough album, and was certified gold. The success continued with Pleasure in December 1972, which featured the number one US R&B single Funky Worm. Nine months later,The Ohio Players released Ecstasy in September 1973, which was their swan-song for Westbound. They then parted company with Westbound, and with Walter “Junie” Morrison. This was a huge blow for nineteen year old. He hoped that The Ohio Players might have a change of heart, and he would rejoin their ranks. When this seemed unlikely, Walter decided to embark on a career as a solo artist. He signed a recording deal with Westbound Records, and went on to release a trio of albums as Junie for Westbound Records. These three albums, When We Do, Freeze and Suzie Supergroupie which were recently rereleased as a two CD set entitled The Complete Westbound Recordings. It was released by Westbound Records, an imprint of Ace Records. They showcase Walter “Junie” Morrison who was a truly talented songwriter, musician and producer. Sadly, he passed away on January ’21st’ 2017, aged just sixty-two. Walter Morrison Jr was born in Drayton, Ohio in 1954, and at early age showed an aptitude for music. At school, Walter sang and played the piano, but soon, was learning a variety of other musical instruments. Given his prodigious talent, it was no surprise that Walter eventually became the school choir director and orchestra conductor. This many thought was the start of Walter’s musical career. While his teachers may have envisaged Walter heading to college or university, they didn’t think that sixteen year old Walter would leave school and join a funk band. He joined The Ohio Players in 1970. Two years later, Walter featured on The Ohio Players’ 1972 sophomore album Pain. It featured a slick soulful, and sometimes, jazz-tinged and funky album that was released to critical acclaim. When Pain was released in February 1972, it reached 177 in the US Billboard 200 and twenty-one on the US R&B charts. This was enough to earn The Ohio Players’ their first gold disc. Ten months later,The Ohio Players released Pleasure in December 1972. The album was still soulful and funky, and sometimes moved in the direction of jazz. However, The Ohio Players revived the vocal harmonies that had been part of their original sound. They added to the radio friendly sound of some of the songs on Pleasure. Other songs were the result of late-night jam sessions. Again, critics were won over by Pleasure, and the album received plaudits and praise. It reached sixty-three on the US Billboard 200 and four on the US R&B charts. When Funky Worm was released as a single, it reached number fifteen on the US Billboard 100 and one on the US R&B charts. This gave The Ohio Players biggest hit single of their career. Walter who was still only eighteen, was part of one of the most successful funk groups of the early seventies. When The Ohio Players came to record their fourth album Ecstasy, Walter arranged the album, and just like the two previous albums, wrote and produced the album with the rest of the band. That was apart from Not So Sad and Lonely and Food Stamps Y’all. Walter continued to voice the character Granny, which first featured on Pain and reappeared on Pleasure. His role in The Ohio Players’ organisation was growing in importance. When Ecstasy was released in September 1973 the album was well received by critics, who poured praise on another carefully crafted album of soul and funk. It reached seventy on the US Billboard 200 and nineteen on the US R&B charts. While this didn’t quite match the success of Pleasure, the rise and rise of The Ohio Players continued. One man wouldn’t be part of The Ohio Players when they left Westbound, and signed to Mercury was Walter “Junie” Morrison. The Ohio Players and Walter parted company, and he missed out on the most successful part of The Ohio Players. Their next four albums sold over 3.5 millions copies, with three being certified platinum and one gold. When Walter left The Ohio Players in 1973, there was no bad feeling. He continued to work on projects with members of the band. Sometimes these projects were low-key, but when Walter later signed to Mercury members of The Ohio Players worked with him on his solo albums. That was still to come. Walter was keen to begin the next chapter of his career, and headed into the studio to record his debut single. The result was two new songs, the single Tight Rope, which was soulful and funky with a clavinet adding a tougher edge. This was reminiscent of the type of music Stevie Wonder was recording circa 1973. On the B-Side was Walt’s Third Trip, which was an ambitious track that incorporated elements of disparate genres. Although it was jazz-tinged, funky and soulful, it’s best described as symphonic and sounds like the type of music the disco orchestras would produce later in the decade. Both songs are which are among the bonus tracks on disc two of The Complete Westbound Recordings. Rather than begin work on his debut album, Junie decided to hold off, just in case he was asked to rejoin The Ohio Players. This didn’t happen, and he watched as Skin Tight was released in April 1974, and reached number eleven in the US Billboard 200 and number one in the US R&B charts. Skin Tight went on to sell over a million copies. Seven months later, The Ohio Players released Fire, which reached number one on the US Billboard 200 and the US R&B charts, and again, sold over a million copies. For Junie, it was a case of what might have been. Realising he was unlikely to be reunited by The Ohio Players, Junie had begun work on his debut solo album When We Do. He had written eight new songs, which with Skin Tight and Walt’s Third Trip would form the basis for When We Do. Junie was a talented multi-instrumentalist, and was able to lay down many of the instruments himself. However, when it came to add the strings, the Detroit Symphony Orchestra were contracted. They featured on several tracks, including Junie, The Place, Anna and Walt’s Third Trip. Gradually, When We Do was talking shape, with ballads and uptempo tracks rubbing shoulders with each other on a truly eclectic album. Critics on hearing When We Do, were reminded of a playful nature of the music that was a feature of the trio of albums that Junie recorded with The Ohio Players. Although they now had two million selling albums under their belt, they had lost this playfulness. That wasn’t all they The Ohio Players had lost. Their music critics had noted was no longer as eclectic as it had been with Junie onboard. However, critics noted that Junie had incorporated this playfulness and eclecticism to When We Do, which was well received upon its release. Eclecticism was a feature of When We Do, with Junie combining elements of disco funk, jazz, P-Funk, rock, samba and soul. Junie the opening track, starts off light and playful, before keyboards add a tougher, funky, sound. Soon, though, strings dance and add a contrast to the keyboards, before the female vocal adds the light playful sound. Loving Arms features a heartfelt needy and soulful ballad by Junie. Johnny Carson Samba is an inventive fusion of jazz and samba. The Place is a genre-melting tracks where Junie aided and abetted by his backing vocalists and strings, combine disco, funk, jazz, rock and soul. It’s without doubt one of the album’s highlights. Anna is a tender ballad, where Junie’s arrangement is reminiscent of Thom Bell. 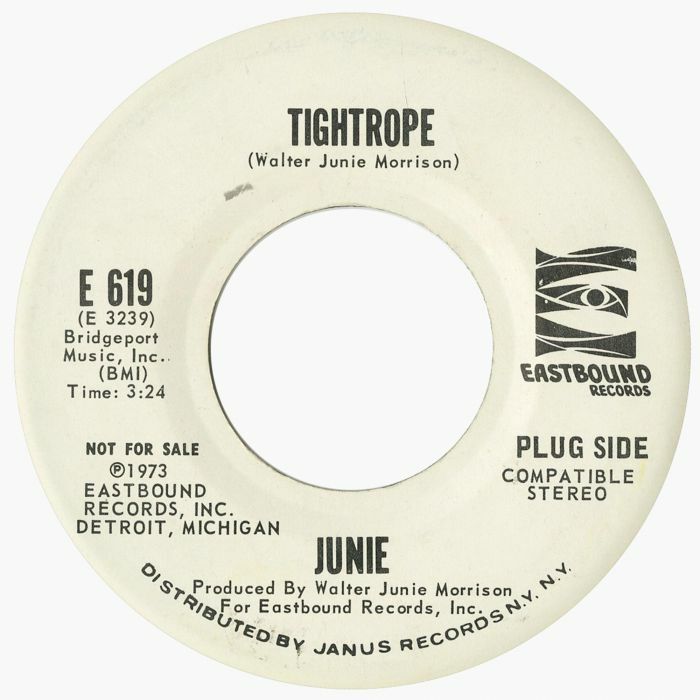 Soulful and funky describes the single Tight Rope, which for Junie, was the one that got away. 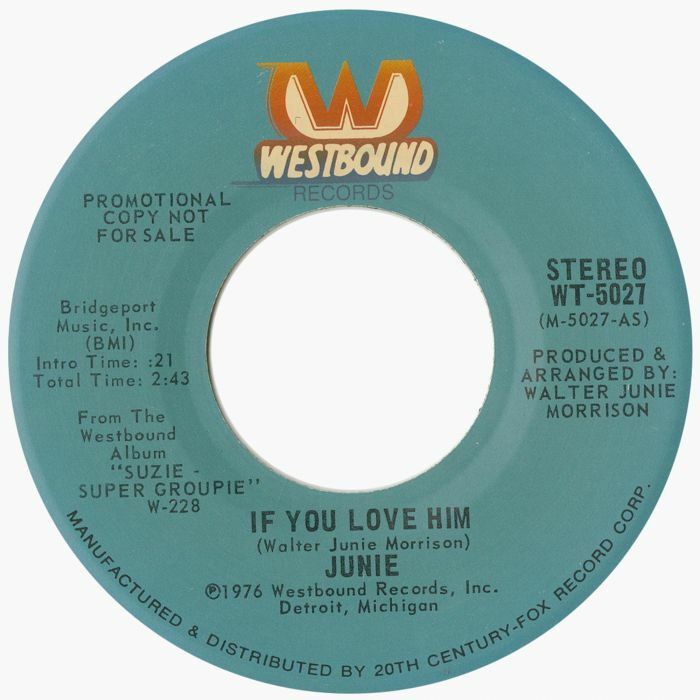 You and You is a tender, paean that shows Junie at his most soulful. This gives way to When We Do, where Junie and the Detroit Symphony Orchestra fuse elements of funk, soul, rocky guitars and disco strings. Married Him is another ballad, where the descending bass line, harmonies and strings are at the heart of the song’s success. Closing the album was Walts Third Trip, which had been relegated to the B-Side of the single Tight Rope. It’s one of the hidden gems on When We Do, and showcases just what Junie was capable of. On the release of When We Do in 1975, while the album wasn’t a huge success, it sold reasonably well. This executives at Westbound thought was a good start to Junie’s career, and soon, he began recording his sophomore album, Freeze. When it came to record Freeze, Junie dispensed with services of sidemen, strings and backing vocalists. He became a one-man band, writing, recording and producing the eight new tracks at Ardent Studios, in Memphis. These eight tracks became Freeze, which featured a very different sound. That is apparent straight away, with Junie deploying effects on Freeze, which results in a tougher, funkier, but still soulful sound. Cookies Will Get You is a lysergic sounding song, with a talking cookie sharing lead vocal duties on this slice of cartoon funk. Not As Good As You Should is a funky jam, that’s one of the album’s highlights. Musical Son finds Junie deploying a vocoder, on an uptempo funk workout. The vocoder returns on Super J, a soulful slice of mid tempo funk. World Of Woe is a beautiful ballad on the album, and features a needy, hopeful vocal. It’s without doubt one of the album’s finest moments. 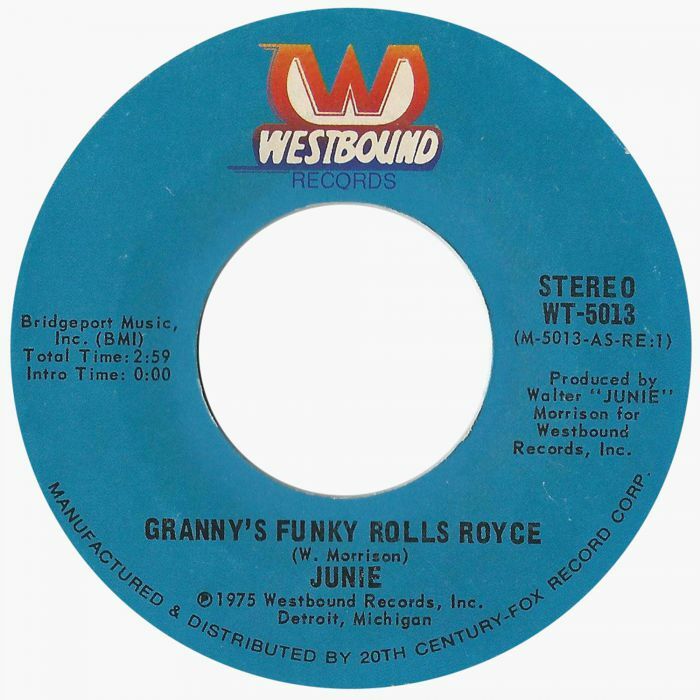 Junie revisits the character of Granny from his days with The Ohio Players on the cartoon funk of Granny’s Funky Rolls Royce. Closing Freeze is Junie II, a funky, soulful song where Junie seems to improvise, as he delivers a vocal powerhouse. 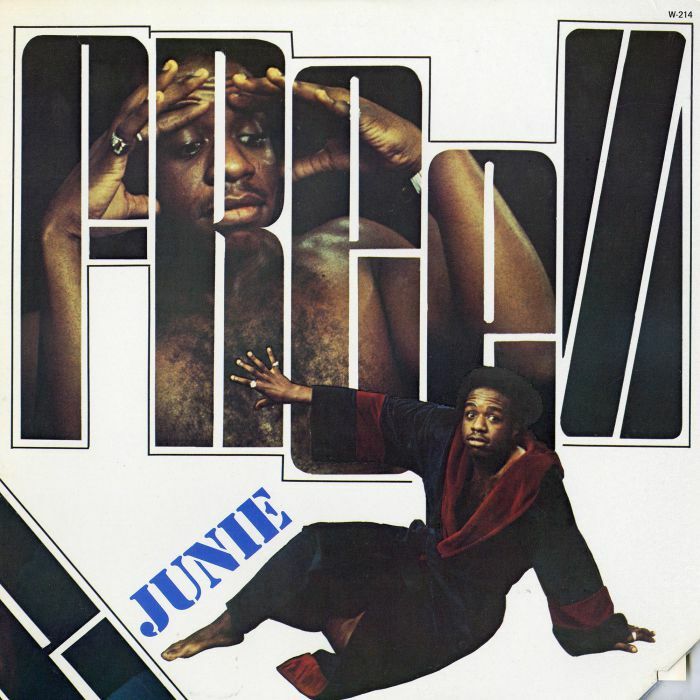 Freeze was a stepping stone for Junie, as he started to reinvent his music. However, the big question was how would record buyers react to Freeze? Before that, an edit of Granny’s Funky Rolls Royce was released as a single, with an edit of Super J on the B-Side. (Both edits are among the bonus tracks on disc two of The Complete Westbound Recordings). When Granny’s Funky Rolls Royce was released as single, it too, failed to find an audience. Worse was to come when Freeze was released in the second half of 1975, and it didn’t come close to troubling the charts. For Junie and executives at Westbound, this was a worrying development. Despite this, Junie was allowed to begin work on his third album, Suzie Super Groupie. For Suzie Super Groupie, Junie returned to Detroit, and Pac Three Studio where he had recorded When We Do. That was where the nine songs on Suzie Super Groupie took shape. Just like previous albums, they had been penned and produced by Junie. However, this time, Junie was joined by band that included several members of the Crowd Pleasers. Their raison d’être was helping Junie rescue his career. He realised that if Suzie Super Groupie failed commercially, there was every chance he would be dropped by Westbound Records. For the twenty-two year old, this would be a disaster, and could spell the end of his career. 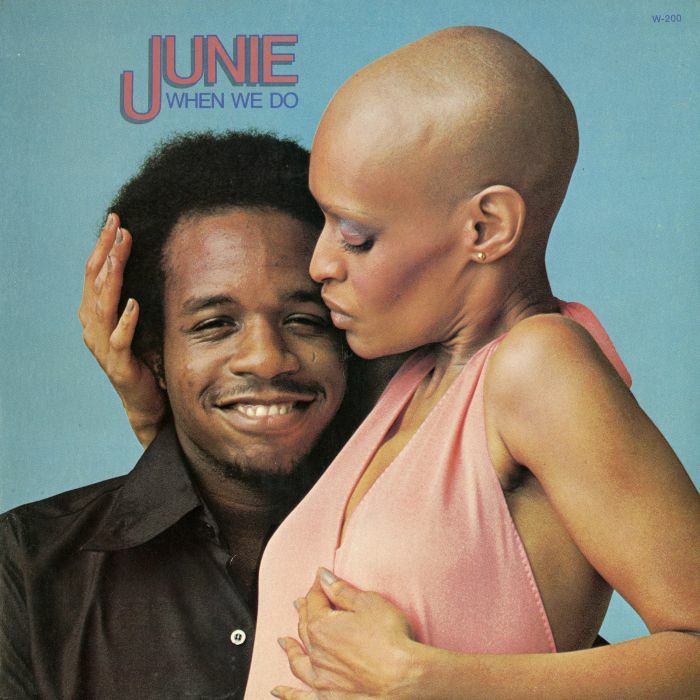 However, with a talented and versatile band behind him, Junie was responsible for an album that was slick, smooth and soulful, but also headed in the direction of boogie, funk and jazz. He waited with bated breath to hear what critics made of Suzie Super Groupie. The tender soulful sound of Suzie Super Groupie a thirty-two second amuse-bouche opens the album, and gives way to the soulful, funky sound of Suzie Thundertussy. One of the album’s highlights is If You Love Him, a soulful ballad, where rueful horns punctuate the arrangement. What Am I Gonna Do marks a return to the funky side, with Junie’s vocal referencing Stevie Wonder and Sly Stone. Super Groupie with x-rated lyrics heads in the direction of funk rock, while Suzie combines funk and disco. Stone Face Joe is propelled along by a boogie rhythm, while horns blaze and Junie plays his piano and later, adds a knock about vocal, on this fusion of music and theatre. Spirit is a slow burner, that starts off as a ballad, but heads in the direction of a funk rock as Junie takes his leave after this seven minute epic. Not long after the release of Suzie Super Groupie, Junie left Westbound Records. This was almost inevitable. 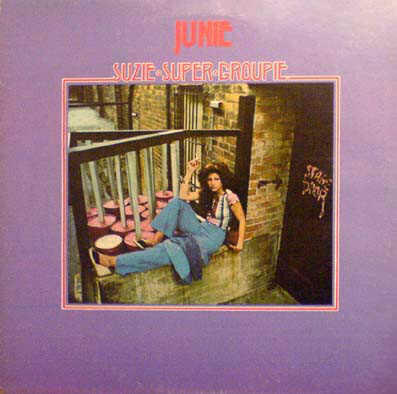 Junie knew before the release of Suzie Super Groupie that the album had to sell well. If it didn’t Westbound Records wouldn’t renew his contract. After all, no record company that wanted to stay solvent, would continue to allow an artist continue to release albums that failed to sell. It didn’t matter that they were of the quality of When We Do, Freeze and Suzie Supergroupie which were recently rereleased as a two CD set entitled The Complete Westbound Recordings. It was released by Westbound Records, an imprint of Ace Records. They showcase a truly talented musician as he tried to make a commercial breakthrough. When Junie left Westbound Records, the musical prodigy was still only twenty-two. However, he had already released three albums with The Ohio Players and three solo albums. Junie was an experienced, talented and versatile who was a singer, songwriter, musician, arranger and producer. It wouldn’t be long before someone came calling, wanting to hire Junie. Junie returned to his solo career in 1980, after writing two number one singles. Suddenly, Junie was hot property, with record companies fighting for his signature. Eventually, he signed to Columbia and released two albums. However, neither Bread Alone in 1980, nor Junie 5 in 1981 found an audience. Three years later, Junie returned with Evacuate Your Seats in 1984, but it was a familiar story when the album passed record buyers by. For Junie, this prompted a change of career. In the lat eighties, Junie decided to relocate to London, where he founded the Akashic record label. Junie also worked as a songwriter, and wrote songs for Soul II Soul, Sounds Of Blackness and God’s Property. Later, Junie moved into production, and worked with a variety of artists, including James Ingram. By the mid-nineties, Junie was reunited with someone from his past. By then, Junie’s music started to find an audience within the hip hop community. They realised that Junie’s music was ripe for sampling. On some of the songs on The Complete Westbound Recordings, Junie literally invites hip hop producers to sample his music. This was an invitation they accepted, and this has continued up until relatively recently. In 2016, songs from Kayne West’s album Life Of Pablo and Solange Knowles’ A Seat At The Table feature samples of Junie’s music. These two high-profile artists introduced Junie’s music to a new generation of record buyers. Not long after this, Walter “Junie” Morrison passed away on January ’21st’ 2017, aged just sixty-two. Music had lost a truly talented singer, songwriter, musician, arranger and producer, who is still one of music’s best kept secrets. Thankfully, maybe not for much longer. The recent release of Junie’s first three albums on The Complete Westbound Recordings, is the perfect introduction to his music, and features Junie at his playful, soulful, funky and innovative best. ← JERRY LEE LEWIS-TOGETHER, LIVE AT THE INTERNATIONAL LAS VEGAS, IN LOVING MEMORY:THE JERRY LEE LEWIS GOSPEL ALBUM AND KEEPS ROCKIN.